Gonstead technique is one of the many specific techniques used in our office. It often utilizes x-rays to not only locate specific subluxations (misalignments) in the spine but also to figure out the best treatment for the patient. Gonstead technique was founded by Dr. Clarence Gonstead, a chiropractor/engineer, who utilized his engineering background to come up with a specific approach in the assessment and treatment of the spine. Today, the technique is used by many chiropractors because of how effective it is. 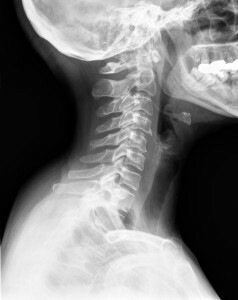 The importance of x-rays in Gonstead technique is that they allow the doctor to take measurements of your spine to determine exactly in the spine where misalignments are occurring. At Hampton Chiropractic, we have a state of the art digital x-ray machine on site at our Belton location. Another important aspect of this technique is the concept that misalignments in one area of the spine can cause compensation in other areas of the spine. This is where a good chiropractor will use clinical judgement to determine the best approach to your care. It is an effective and very safe approach in the treatment of the spine. We offer Belton, Peculiar, and Raymore chiropractic care that is affordable, safe and effective.